A while back, I recall suffering a slight hangover after a 40th birthday bash and pondering what on earth to do for dinner. 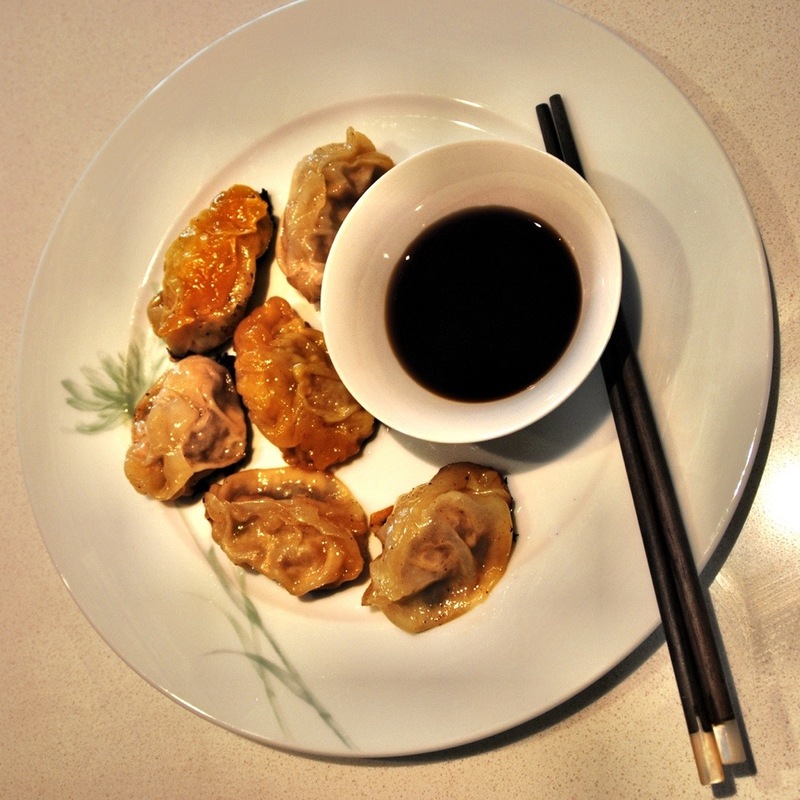 At the time, I really craved dumplings and not having the luxury of a decent take out option in our town, I set off to gather the ingredients that I needed. 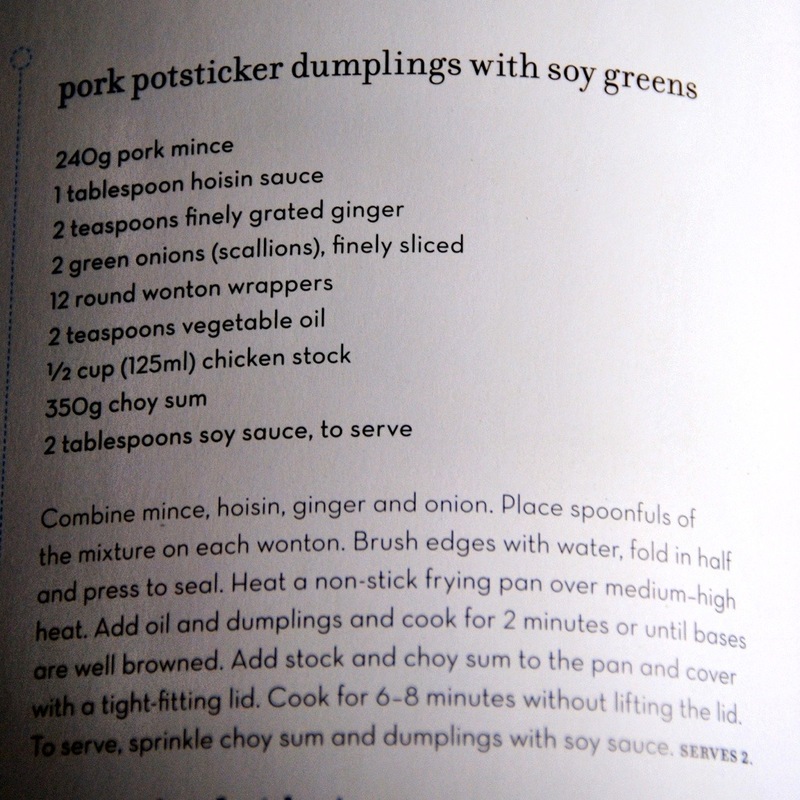 Usually I make some simple pork pot stickers using a favourite Donna Hay recipe. For whatever reason however, that night I decided to experiment with more fillings and different styles of cooking. Along with the tried and true pot stickers, I made some steamed pork dumplings, steamed chicken dumplings and a chicken filled wonton soup. I did cheat and use a Campbell’s chicken consommé as my base for the soup, however! 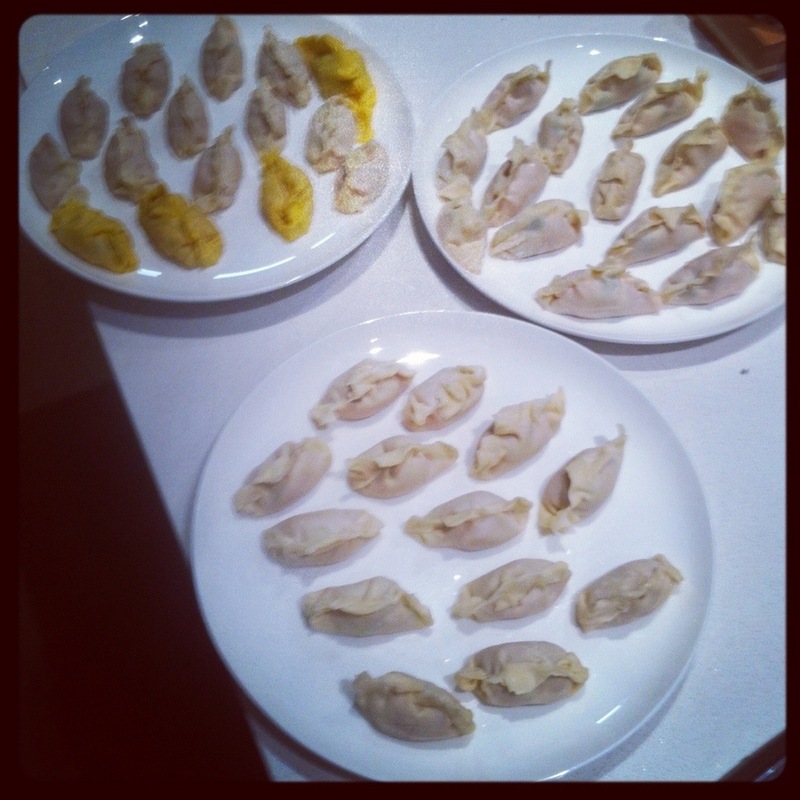 Here is my wonton production line – I must say, probably a bit ambitious when not feeling 100%! Having made so many dumplings, I decided to freeze them in zip lock bags. This was an experiment, but it turns out that they freeze and cook well. 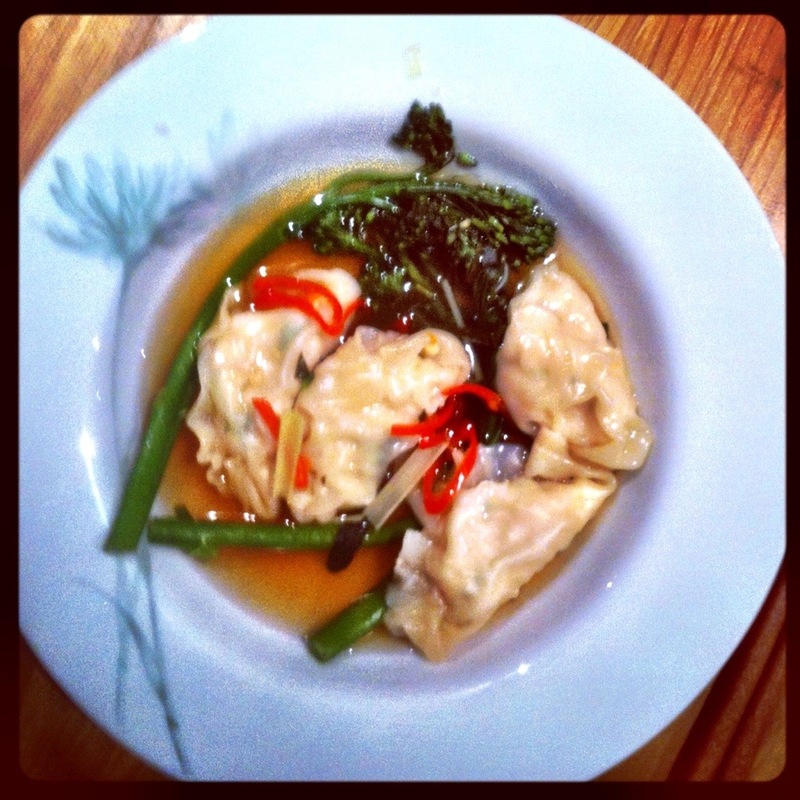 In fact, I just cooked up a batch of the pot stickers for lunch. Given I am home from work to get organised post-honeymoon, I wanted a quick and easy alternative for lunch so that I could get back to tidying up. Here is a picture of lunch – all prepared in less time than it would have taken me to get take away. 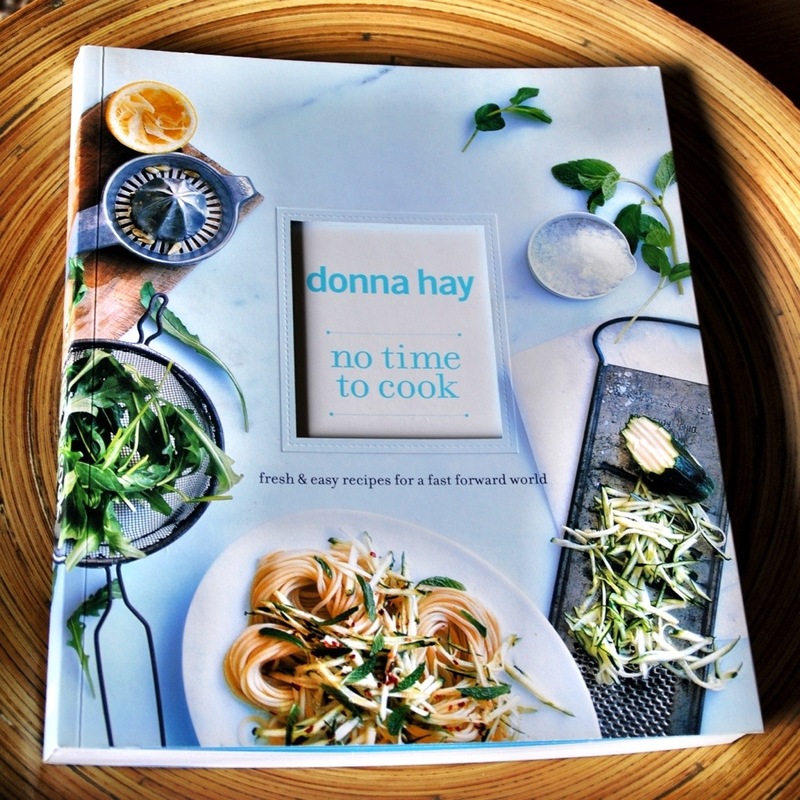 This is the recipe from Donna’s book and a picture of the cover. I love this cookbook for weeknight meals! Well, here I am clearly in procrastination mode… I think blogging about lunch defeats the purpose of my quick lunch in the first place! So back to unpacking luggage for me…. 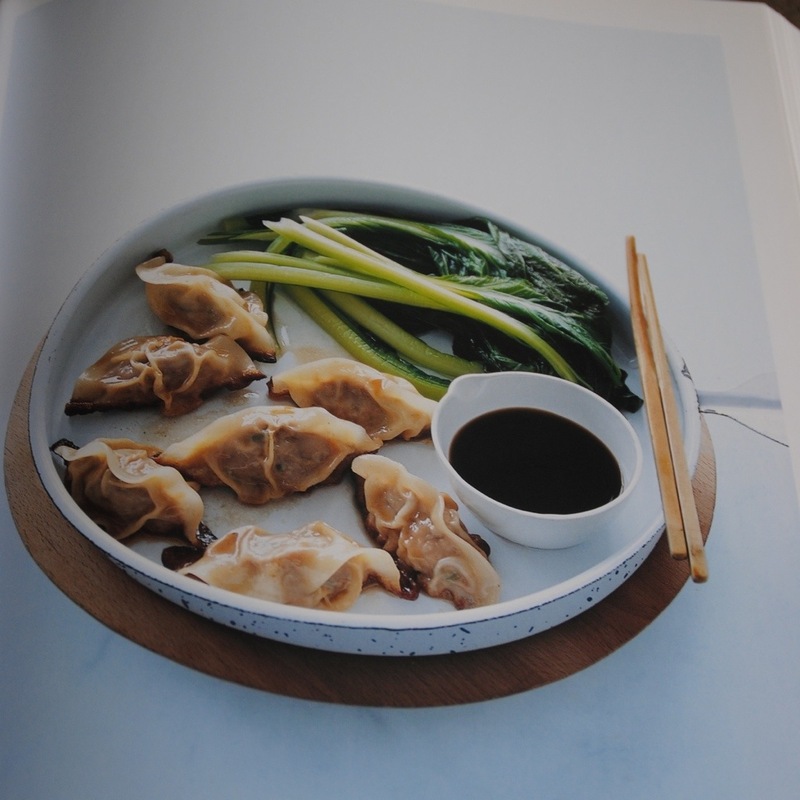 Your dumplings look awesome (but im imagining them without yucky pork filling) and now I am suffering from huge cravings for HuTong Dumpling Bar!! 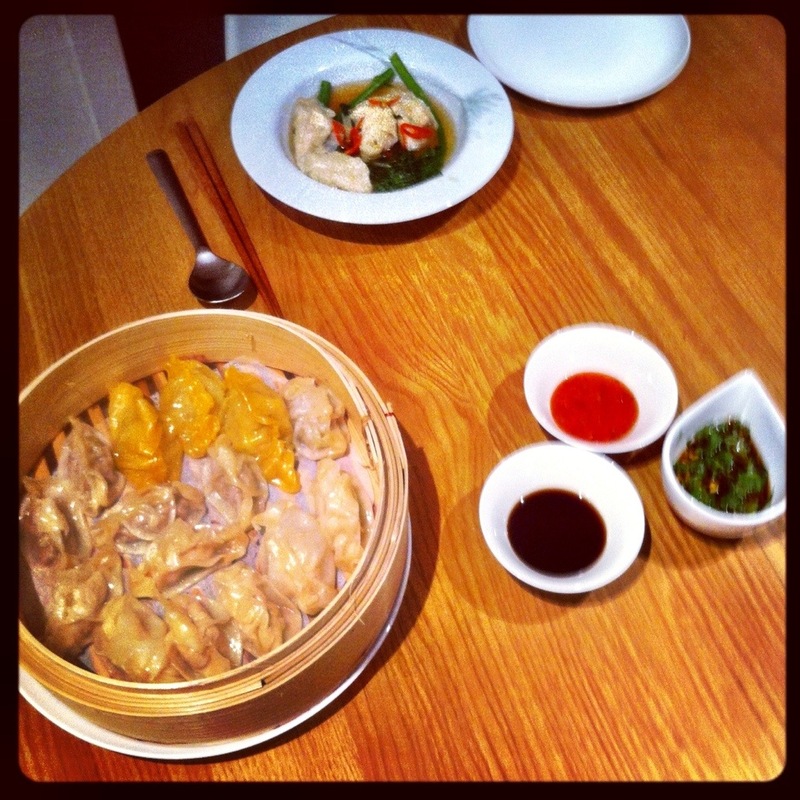 I showed foodie-Nigel, from school, your dumplings and he was impressed too! Good work twister.